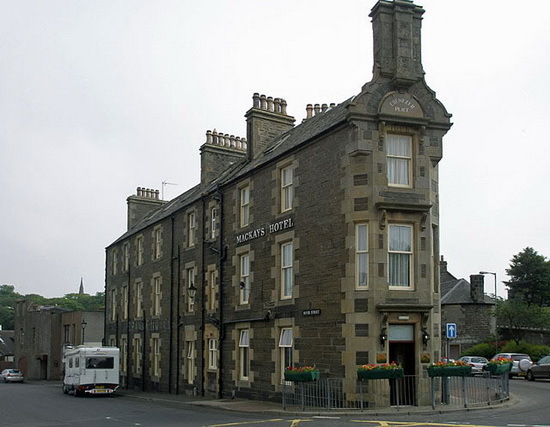 Ebenezer Place, in Wick, Caithness, Scotland, is credited by the Guinness Book of Records as being the world's shortest street at 2.06 m (6 ft 9 in). In 2006 it surpassed the previous record (5.2 m, 17 ft) set by Elgin Street, Bacup, Lancashire. The street has only one address: the front door of No. 1 Bistro, which is part of Mackays Hotel.